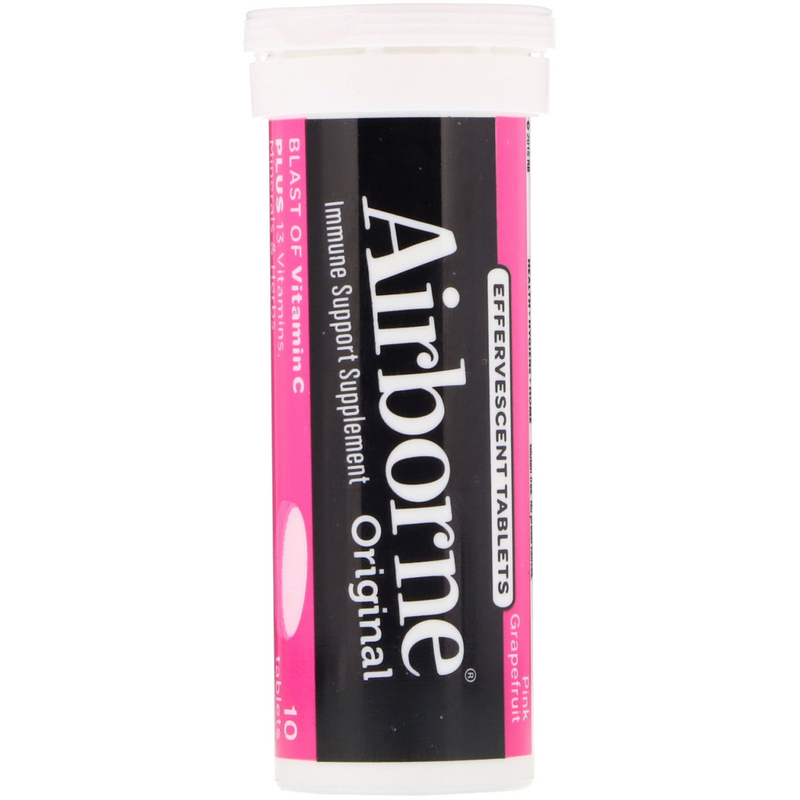 Airbone Effervescent Formula Offers Fast-Acting Absorption! Drop one tablet in 4-6 oz of water, let dissolve (about 1 minute) and drink. May be used in hot or cold water. 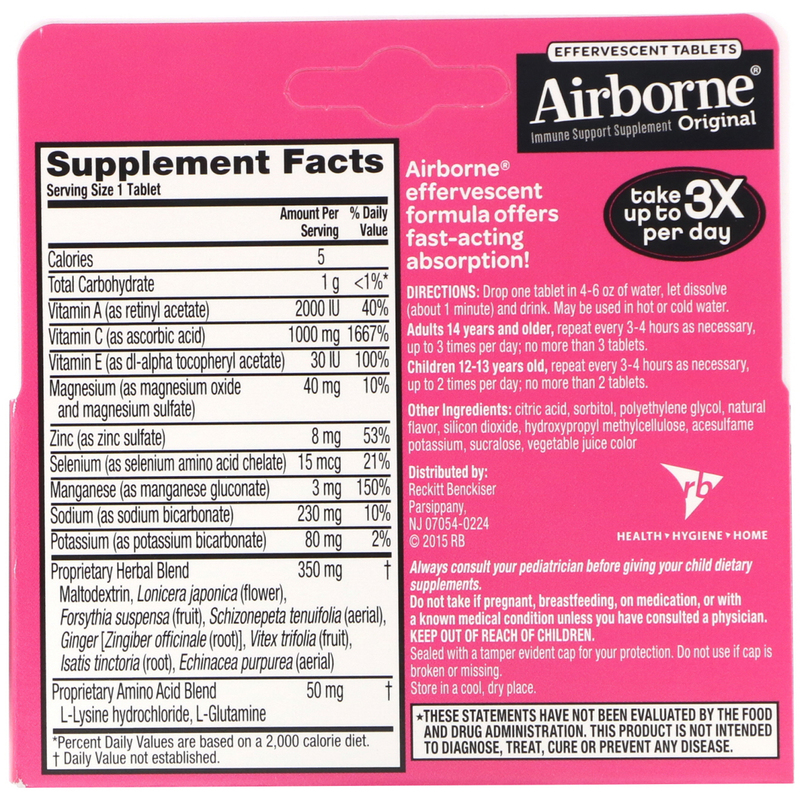 Children 12-13 year old, repeat ever 3-4 hours as necessary, up to 2 times per day; no more than 2 tablets. Citric acid, sorbitol, polyethylene glycol, natural flavor, silicon dioxide, hydroxypropyl methylcellulose, acesulfame potassium, sucralose, vegetable juice color. 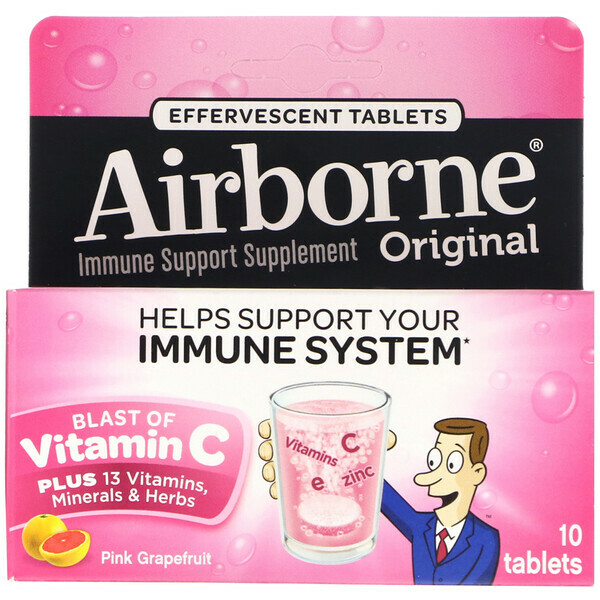 Always consult your pediatrician before giving your child dietary supplement. Do no take if pregnant, breastfeeding, on medication, or with a known medical condition unless you have consulted a physician. Sealed with a tamper evident cap for your protection. Do not use if cap is broken or missing.